A group of Park Avenue first graders read together on the classroom rug. Recent studies on literacy confirm what teachers have known for years – the more children read and write, the better readers and writers they become! 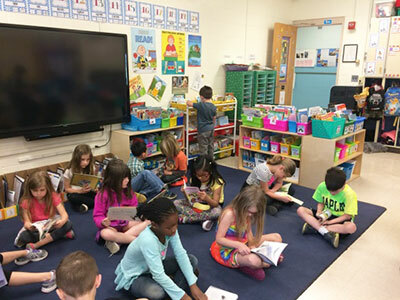 Warwick Valley Central School District is committed to moving along in a balanced approach to literacy and, this year, has taken numerous steps in this effort. 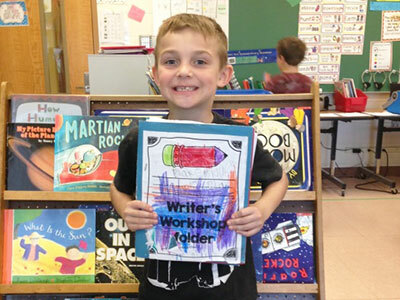 With the help of in-house elementary literacy coach Alisa Kadus, and literacy consultant Patty Vitale-Reilly, teacher and author of numerous educational books, elementary teachers have focused more on this year’s writing initiative: the writing workshop. The writing workshop is an instructional model that focuses on the strengths and needs of each individual writer. 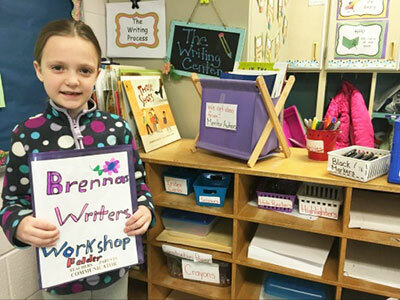 In the workshop model, teachers provide direct instruction on the writing process, craft, genre and mechanics of writing, as well as meet with individual and small groups of students. 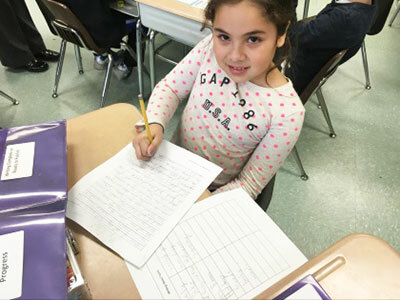 Students at Park Avenue and Sanfordville Elementary Schools are enjoying the additional time that has been dedicated to writing this year. Students have been given more opportunities to choose their own writing topics and share their writing with authentic audiences – audiences with whom they genuinely wanted to connect. They get experience writing in different genres, such as narrative, informational and persuasive writing. Books and materials have been purchased by the district to better support elementary teachers with this initiative. Teachers now have many new picture books to read aloud to their students and to use as model texts as they study various writing genres. In addition to building teachers’ selection of books to support the writing workshop initiative, teachers are also building their classroom libraries. 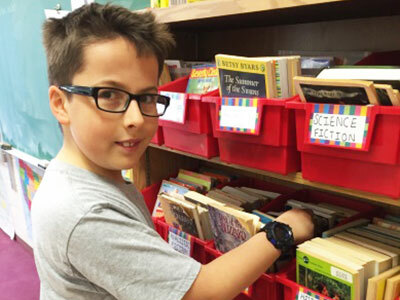 Engaging, high-interest books of various genres, authors and formats are being added to classroom libraries. Students are very excited to get these new books in their hands and read, read, read – as demonstrated by students who often choose to read instead of play during their snack time! 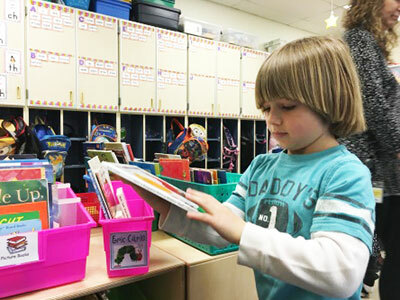 The steps taken this year with the writing initiative and classroom libraries in Warwick’s elementary schools are just a small part of a larger, multi-step process to move toward a true, balanced literacy model.